Chinese academics recently delivered a stark warning to the country’s leaders: China is facing its most precipitous decline in population in decades setting the stage for potential demographic economic and even political crises in the near future. For years China’s ruling Communist Party implemented a series of policies intended to slow the growth of the world’s most populous nation including limiting the number of children couples could have to one. The long term effects of those policies mean the country will soon enter an era of “negative growth” or a contraction in the size of the total population. 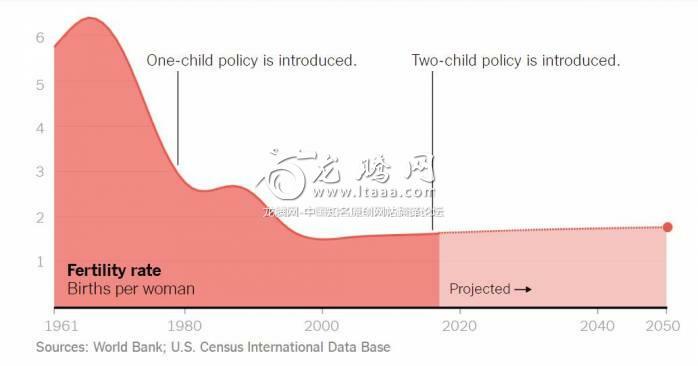 The government has recognized the worrisome demographic trend and in 2013 began easing enforcement of the “one child” policy in certain circumstances. It then raised the limit to two children for all families in 2016 in hopes of encouraging a baby boom. It did not work. After a brief uptick that year the birth rate fell again in 2017 with 17.2 million babies born compared to 17.9 in 2016. Although the number of families having a second child rose the overall number of births continued to drop. According to preliminary official figures cited by The Global Times a party-run newspaper the total number of births for 2018 could fall to as low as 15 million. Some cities and provinces have reported declines in local birth rates of as much as 35 percent. Yi Fuxian a professor at the University of Wisconsin-Madison has written that China’s government has obscured the actual fertility rate to disguise the disastrous ramifications of the “one child” policy. According to his calculations the fertility rate averaged 1.18 between 2010 and 2018. 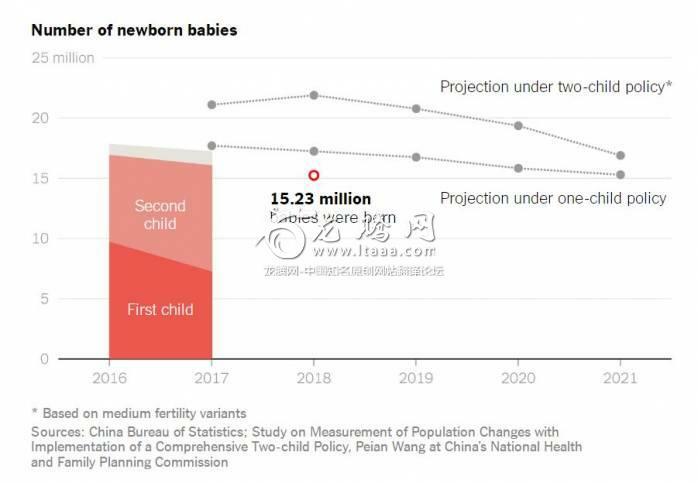 Chinese women born during the years following the “one child” policy are now reaching or have already passed their peak fertility age. There are simply not enough of them to sustain the country’s population level despite new efforts by the government to encourage families to have two children. Some experts believe the population has already started shrinking. In a recent paper Dr. Yi and Su Jian an economist at Peking University argued that the population contracted in 2018 the first year it has done so since the famines of 1961 and 1962 induced by the Great Leap Forward Mao’s industrialization campaign. The researchers said inaccurate census estimates had obscured the actual population and fertility rates. I say this as an atheist - DEAR GOD please let humans find a way to have their economies and societies survive without endless population growth. More people use more resources and are crushing the other residents of this planet and are burying its beauty in trash. Soon there will be no part of the surface that has not been appropriated for human use. Seas will be empty of fish. Declining population in China is a huge positive step - now just figure out how to make the economy work with that limitation. The US needs to be doing that too. The solution to our problems can't always be "pile on more people". At some point that solution won't work but why wait until the crush of humanity has destroyed everything? Why not find a solution now when we still have elbow room? The idea that a continued population growth is essential for economic expansion is unsettling. When your existing populations sustenance currently depends on importing food from other countries and has over taxed its own agricultural capacity by chemically coaxing the farmlands to complete nutrient exhaustion isn't less demand a good thing? Let our earth rest by demanding less of her while she still has the capacity to recover. Crisis? No. This is a part of the solution to the problem of climate change. The slow-motion climatic and environmental changes are the real crises we face. Everyone on this planet needs to wake up to the fact that there are too many of us and endless growth is an impossible goal. We seem entranced by the idea that we can somehow manage to maintain a growth economy forever. It's colossal stupidity: nothing short of collective suicide by binge consumption. If we are to survive we need to figure out how to live within our means - and that is bound to hurt in the short term. The economic effects of a decrease in population are like the side-effects of a curative medication. Who likes that? But we put up with it because of long term benefits. Same. Just bigger. Seven billion people and climbing is also uncharted territory. For those with zero ability to understand how we are creating an unprecedented environmental catastrophe it might seem crazy to think that billions fewer people gradually dying off instead of starving to death dying of new plagues or in the water wars already shaping might be a good thing. But they'd be um wrong. Yes well that "cultural preference for males" can be a real bugaboo when it gets up to 120 males born per 100 females. (World Bank 2009.) It's pretty tough to keep that birthrate up when the females are long dead. "....cultural preference...." How delicate that phrasing is. ERA now. With all due respect to China isn't a shrinking population in all countries good for all of us? Shouldn't we be using the rapid rise of automation to replace straighforward jobs (such as bank tellers) and shift human workers to places that need a human touch like caring for the elderly? If they need workers they can certainly allow moderate immigration too. One billion in a single country is still too many. Overpopulation in general is still the elephant in the room when people talk about climate change and food security.